You’ve made it to Japan and now you need to find a job! Find out what are the top 3 employment opportunities for foreigners new to Japan. Ahhhh, the dreamland of Japan. We all come here for our own reasons, but we are united in one common goal: making a living. And for most of us, that means finding a job. As gaijin though, we often find ourselves stuck. You have to know where the jobs are and you need to be willing to compromise if you want to start making money now. There are primarily three types of jobs you can have in Japan. Other jobs are less advertised, come through personal connections, or require fluent Japanese and specialized education. “The Big 3,” as I call them, offer the most employment opportunities and there is a constant need for them to be filled. First is teaching English. No surprise here as the Japanese government is requiring students as early as elementary school to study this foreign language. 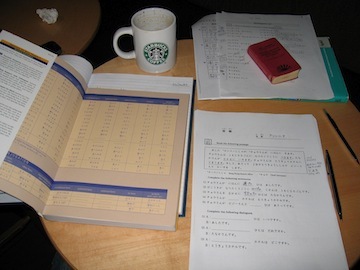 Other Japanese study English for business or as a hobby. No one is better to teach the foreign language than the foreigner. It’s not hard to find job postings for English jobs, just take a look at any Japan jobs website or apply directly to one of the chains of English conversation schools that dominate the city. Applying for English jobs outside Japan is more difficult as companies prefer those in Japan with visas. Another option is try to tutor on your own by asking to teach others and word of mouth. Teaching English can be easy or difficult. Some employers just have you talk or play with students or be a human tape recorder, repeating proper pronunciation. Others want you TEFL/TESOL certified, years of experience and to explain complex grammar points. Naturally the pay varies widely as well. Teaching English is not something most of us enjoy for the long term, then again most of us won’t be in Japan for the long term either. It’s an easy job to find, even if the pay or working situations may not be the greatest. Remember that teaching English in Japan is very much a business. You’ll often be asked to help recruit and promote your school. There are also stories of bosses pressuring teachers to keep students in school as long as possible to churn out more profit; that could mean slowing down the pace of a student’s learning or just constantly telling the students their English is good but not good enough. The next job transitions from the English teacher into the translator. Again, the simple act that you can write, read, and speak perfect English is a very desirable trait in Japan. If you understand even konnichi wa, you have probably already been forced to translate for friends or at work. Some people turn this into a part time or full time job. Translating services are on the lookout for new hires, as are Japanese companies that want to be more competitive in the global marketplace. Translating opens up great opportunities to meet people, including presidents of companies or government officials. The better you are the more people you meet and the better the pay. Even though Japanese learn English for nearly ten years in school, the flawed education system unfortunately means people barely retain more than some basic vocabulary words. Translating jobs are more easily found in the larger cities, though there is more competition as well. Translating could be anything from checking English papers for accuracy to simultaneous translation. Usually a lower level translation job means a mumbling gaijin translating English to Japanese. It may sound horrible and you may be missing half the translation, but your limited Japanese is usually better than a Japanese person’s English. Even if you are not completely accurate, as the best translator in the room, your role of bringing people together is overly appreciated. The last job non-Japanese find in Japan is sharing Japanese culture. This can be done in Japanese or English. This job will require some kind of writing or reporting experience. Even taking pictures could fall under this category. From fashion to food, history to pop culture, travel sites to music, the topics to explore and share are endless. Landing a writing gig for websites or magazines about Japan takes know-how and luck, but if you have a passion, it is a great way to learn more about Japan as you share what you know. With some luck and skill, you can even write for GaijinPot (imagine that). Some foreigners become immersed so deep into the culture that they become professors, teaching about one or more aspects of Japan through Japanese and international universities. Teaching, translating, and sharing Japanese culture are the jobs most readily available to foreigners in Japan. Do your time in these jobs, network and improve your Japanese, and you can move on to something better within the same career field or find a whole new opportunity most gaijin don’t know about or could not find on an average job board. 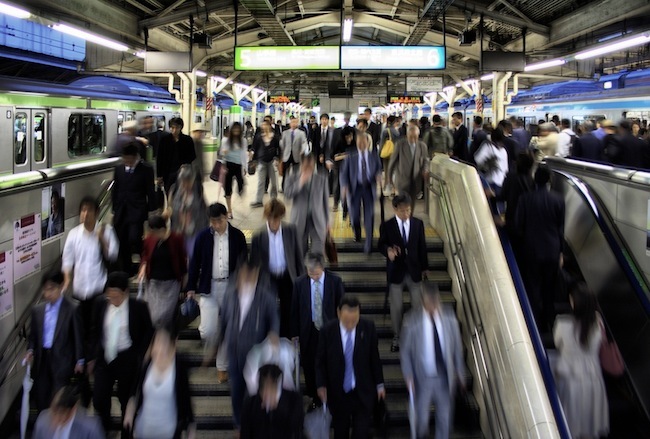 Japan is a land of mystery, but hopefully the job market doesn’t have to be. Check for daily updates on Japan job postings while you’re here on GaijinPot. Happy hunting! Is there a chance for me to find a work in Japan as a Customer Service Assistant/Representative? I understand I need to have/be fluent in Japanese of I wanted to work there however; are there companies in Japan who probably hires English speaking people? I am also a professional teacher (licensed) but I guess it would be very hard for me to find a teaching in Japan considering that I am not a native. So im just checking possibilities or trying to see options. I would really appreciate if somebody could at least respond and/or share their opinions. Don’t know how this worked out for you, but in case anyone else is reading, don’t drop a useful major to study Japanese! You can learn Japanese on your own. If you want a good job in Japan, you will need some sort of technical skill. Sorry I know that this discussion is old, but if someone will read and answer my post , it would be really helpful for me! I am italian and i would like to work in japan, so now, I was wondering since I have already a good knowledge of english (I did many certifications) , french and spanish.. if I choose asian languages (japanese and korean) as my major in university, major of which I ll take the degree just in the first language that i chose( so in japanese ) and a good knowledge of korean and english can I still find a good english job in japan? Like I ll be able to speak japanese english italian korean french and spanish. I mean If I don’t have an english degree but my english skill is good and certificated, can I still be accepted in japan? How is that rude? There were quite a few mistakes…I’m Afrikaans and even I can tell there were a lot of mistakes…..should be: “Is it possible for a non-native English speaker to get English teaching jobs in Japan? My TOEIC points are 965, but I am an Asian, so are there any chances for me to get a teaching job.” This is in my opinion the right correction since even the sentence structure is flawed. That was the worst article I have ever read. MOST OF US??? Sorry who do you represent? Really, How rude of you. Who does this kind of email assist. Based on your grammar and punctuation, I would say you didn’t get a 965. So, NO! I know. many Language institute looking for Italian teachers. You could teach Italian! Hi Surya! I’m not exactly sure. Coming from Indonesia you’ll be classed as a non-native probably. I know the company I work for has its own English tests that everyone has to do. And in the interview your English is tested. But I think it depends on the company. I’ll ask around though and let you know if I find anything else out! Hi Alicia, I am Surya from Indonesia, nice to meet you. Actually, I’m interested in english teaching job in Japan but I was wondering whether an official certification like TOEIC or IELTS are really necessary for the related company ?? Ah yes! My company helped me get my visa. I came on a tourist visa however because I didn’t have time to do the visa process in Canada (my fiancé and I were moving fairly quickly). I then changed my visa here. If you’re somewhere that does a working holiday visa that may be the easiest route to take. I see, thanks. But I perhaps should have been more precise – are they willing to take the process of getting a visa etc on themselves? Ahh I don’t think it’s very common. When I was hired my company told me they wouldn’t pay transportation costs because of “contract changes” and I’ve yet to see any ads saying costs are paid. So if you are not a native English speaker but you have a certificate proving your excellent English skills you can’t find a job as a translator or as a teacher? I see! Thank you very much for the answer, Alicia! An ideal would be then to continue my studies into multimedia, perhaps taking some Japanese-lessons as evening-school or just trying to learn it by myself in my freetime. Can you tell me how high the chances are I’d find a job that is willing to ‘pay transportation costs’? I would suggest continuing with your studies. It is not too hard to get an English teaching job here. You just need a degree (in anything!). I was hired in Canada from a skype interview. Japan is not as high-tech as you think it is! I live in Tokyo and I was shocked to find out how hard it is to find wifi anywhere, and the data interfaces used in companies are incredibly dated. I enjoy teaching but am looking to maybe do a graphic design course. It seems like there are quite a few opportunities for that type of work here, especially if you’re good at it! I would also focus a lot on the computer programming part (HTML, java etc) as it is in demand all over the world. As for learning Japanese, I think you will learn more just being here (and maybe taking some lessons) than from 4 years in university here. You can definitely take some lessons on the side where ever you are, whether live or online. That’s my two cents. I hope it helped! I feel I’m at the crossroads. I’m 18, starting my last year of school next September. I’m studying Multimedia (computer and graphical design, using the Adobe suite, small mentions of Java(script) and HTML&CSS). Afterwards I plan to go to the university to study further until my 25. But, I feel like I’m on the crossroads – I love (and will continue to do so) Japan, and one of my biggest dreams is living there. However, with Japan being the high-tech country it is it is unlikely I’ll find a lot of Job opportunities there. Reading this article, however, I realized that I could see myself teaching (or translating) English there, as it is one of my favorite (and easiest, since I’m good at it) subjects. Now, I want opinions and arguments. I realize that my view of Japan is very much idolized and heavily warped by movies and anime, so want I want people who actually lived to tell me about my dream, and if it is worth it. I have heard that it is not easy to get a job as English language teacher if you aren’t a native speaker. At least if you apply from abroad. I don’t know if it is easier for us Finnish people than other non-native speakers: My friends in Japan have told me several times that “Finnish Method” is really popular learning system in Japan due to Finland’s great success in international PISA research results. On the other hand, some say that if you already live in Japan and your English is fluent (if you get invited to job interview?) you can get a teaching/translating job even if you are not a native speaker. Especially if you are a qualified and experienced teacher/translator of some other language and you speak some Japanese. I hope that’s true because our family wants to move to Japan permanently….. I am currently doing a study graphic design and when I start my life in Japan I will probably begin teaching, but after a while would it be possible to get a job doing graphic design or something alike? I’m up to the challenge of teaching, but I do worry about being bored easily doing that. I appreciate the brief detail on the three opportunities mentioned in the article for sure! It helps weigh out options.